In tradition of many popular buddy cop films from the 1980s and ‘90s, Bad Boys has all of the familiar characters and clichés. At the center of the storyline is an evil drug dealer for a bad guy, a beautiful woman as a witness, a screaming police captain, and two cops who break the rules to enforce the law, all while bickering over their differences (one is a family man, the other a ladies man) and spouting one-liners. Bad Boys mostly works thanks to the chemistry between the two leads and dependency on the well-established sub-genre. The action is decent and the humor works, even if much of the film is photographed like a music video and action doesn’t come close to matching The Rock. Mostly Bad Boys seems to be much better than it is when compared to Bad Boys II, which seemed better at the time than it actually is. Will Smith and Martin Lawrence returned to the franchise and their roles as Detectives Mike Lowrey (Smith) and Marcus Burnett (Lawrence) for the 2003 sequel, 8 years after the original was released. When I first saw this film in theaters there was a lot I appreciated about it, mostly because of when it was released. In the early 2000s, many Hollywood studios were over-excited about the integration of CGI effects in their films, leaving very few filmmakers still filming action sequences the old fashioned way. Bad Boys II, for all of its faults, is filled with real car stunts and explosions. There is something sincere about this action, even though Bay does it in excess to the point of obvious overkill. They even purchased a mansion for the sole purpose of blowing it up at the end of the film. The biggest problem with Bad Boys II is the sheer ugliness of the film, in many different ways. 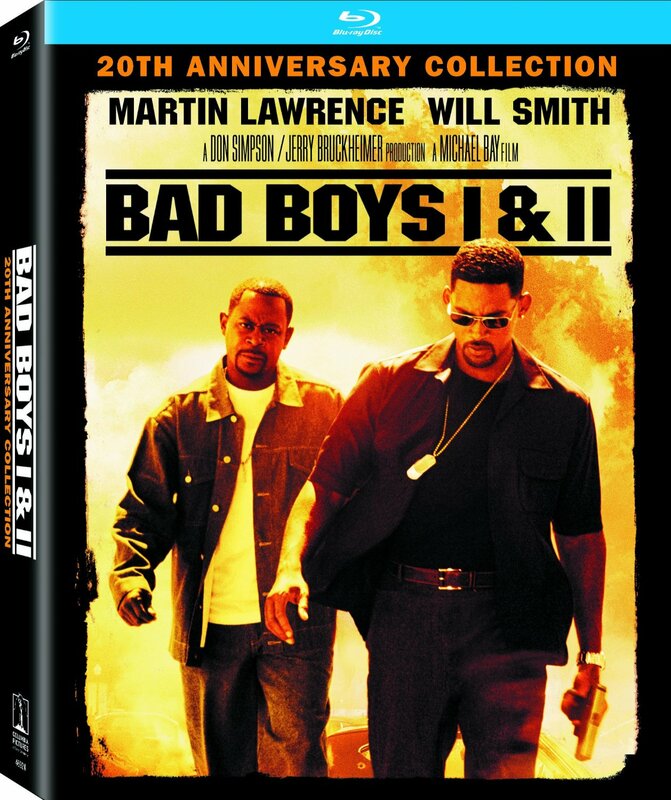 While Bad Boys looks fantastic remastered in 4K high definition, it is now clear why this is the first time the sequel has been available on Blu-ray. The cinematography has harsh light and high contrast that is unflattering to most of the cast’s skin tones, and the high definition just enhances each of the flaws further. The other aspect of ugliness comes from the content itself, which is often vulgar and crass with politically incorrect humor that would never pass these days. It has the societal tact of Pain and Gain with the visual excess of the Transformers franchise. There are several more Bad Boys sequels lined up, though it looks like Joe Carnahan may replace Bay as the director of Bad Boys 3, hopefully saving the franchise from the bad choices of its first sequel. Bad Boy was already released on Blu-ray, and although it was remastered for the 20th Anniversary Edition, little else has changed. The special features (Bay commentary track, making-of documentary, 3 music videos) are all exactly the same, with the exception of the original theatrical trailers being added. 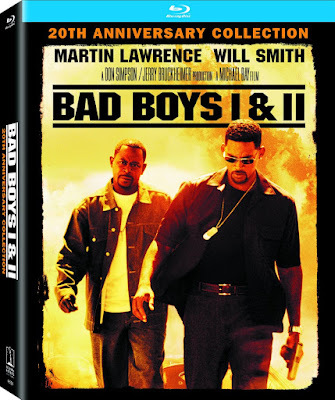 Bad Boys II has a much larger assortment of extras, including over 2 hours of featurettes, production diaries, music videos and deleted scenes. The only catch is that all of these special features were previously included on the DVD release, making the ugly 4K remastering the only selling point for the purchase of this package.